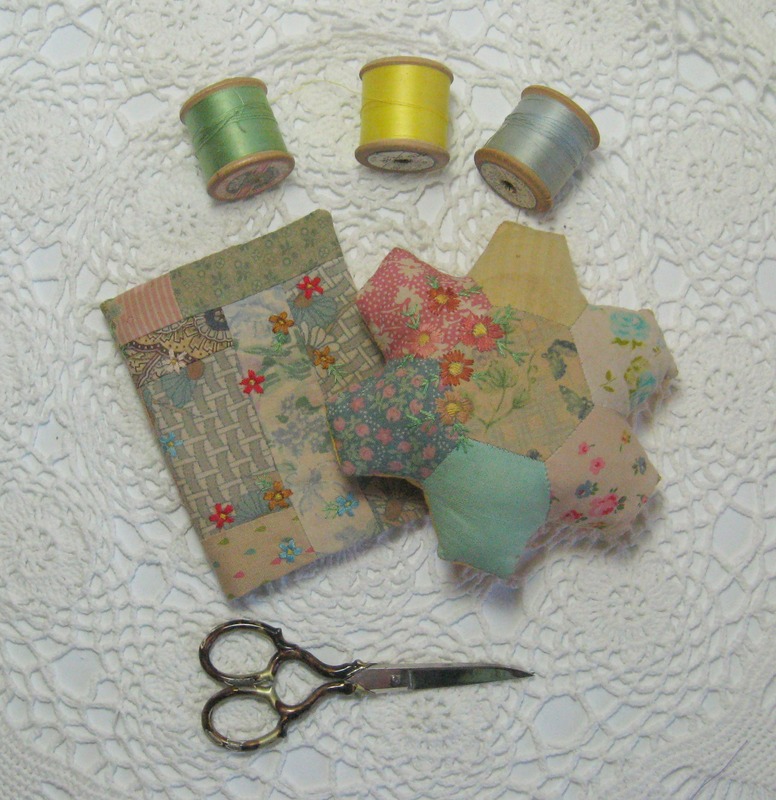 Everywhere round the house are dotted small piles of items I’m planning to bring along with me…I don’t know if it’s a really good business plan but I only really make things that I’d like to have myself….I love pincushions, and find I can never have enough…..these ones are stuffed right full of tiny snipped pieces of fabric scraps and hold pins really tightly, they’ve also been hand pieced together over papers. 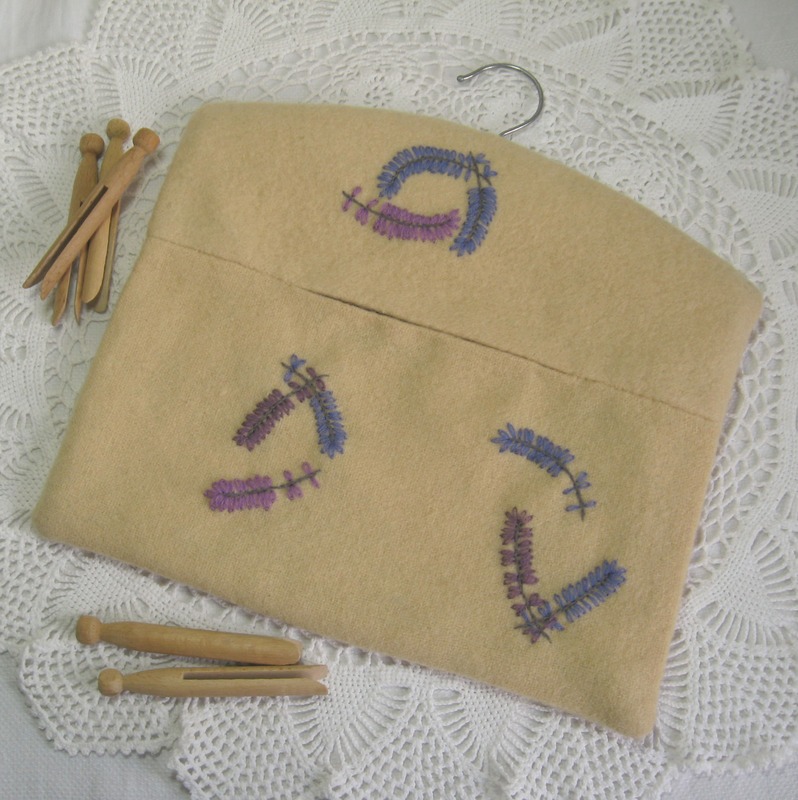 I’m also bringing along some embroidered peg bags…..these are all fully lined with vintage fabrics. 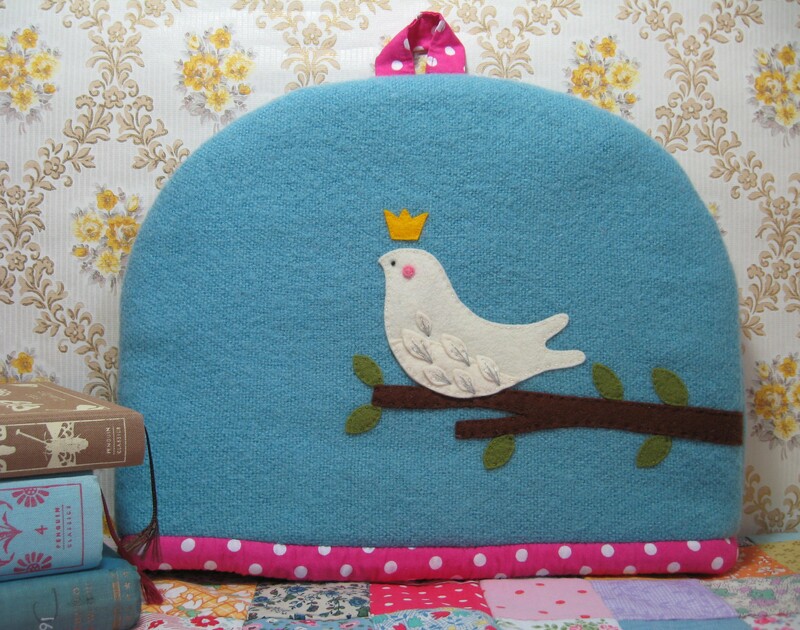 I’ve still got a couple of bird tea cosies left, these have been hand appliqued using pure wool felt. 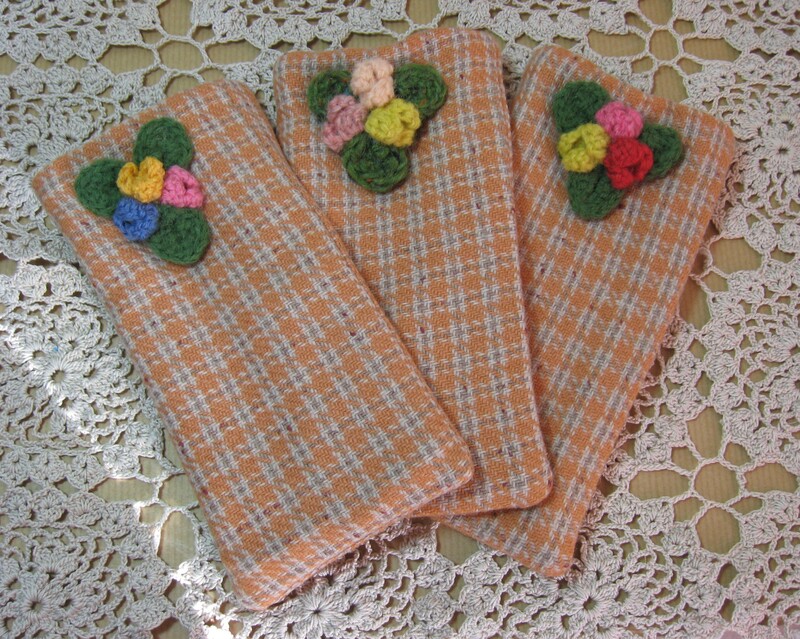 They’re double lined with some extra thick vintage blanket used as wadding….these cosies keep your tea super hot…I’ve also got some cup cake ones which I’ll be taking along too. I made these glasses cases out of some beautiful vintage tweed fabric, and they’re lined with lovely thick velvet to help protect your spectacle lenses. 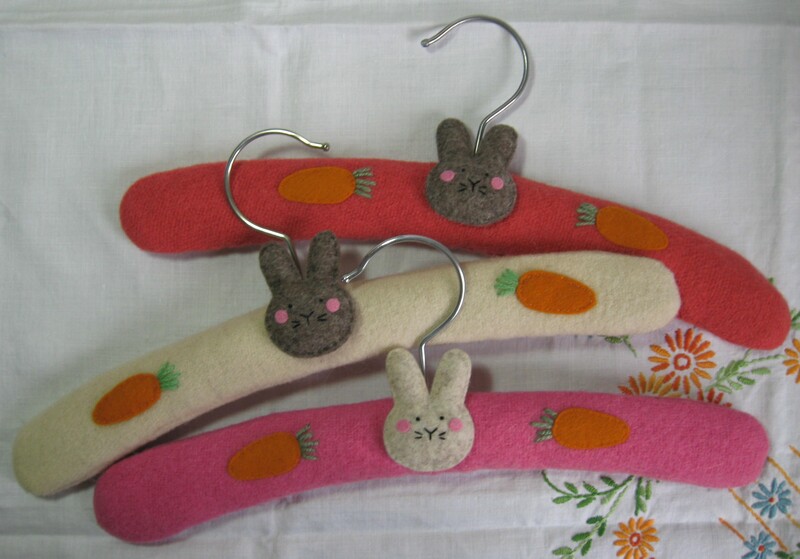 Some of the most popular items I’ve made have been these bunny faced child sized coat hangers …the hangers are made from beautifully soft vintage blankets filled with local Norfolk lavender…the bunnies are hand sewn using pure wool felt and even those little pink cheeks are sewn on by hand. Along with the above items there’ll be some new embroidered items which I’m hoping to write about in the next few days. 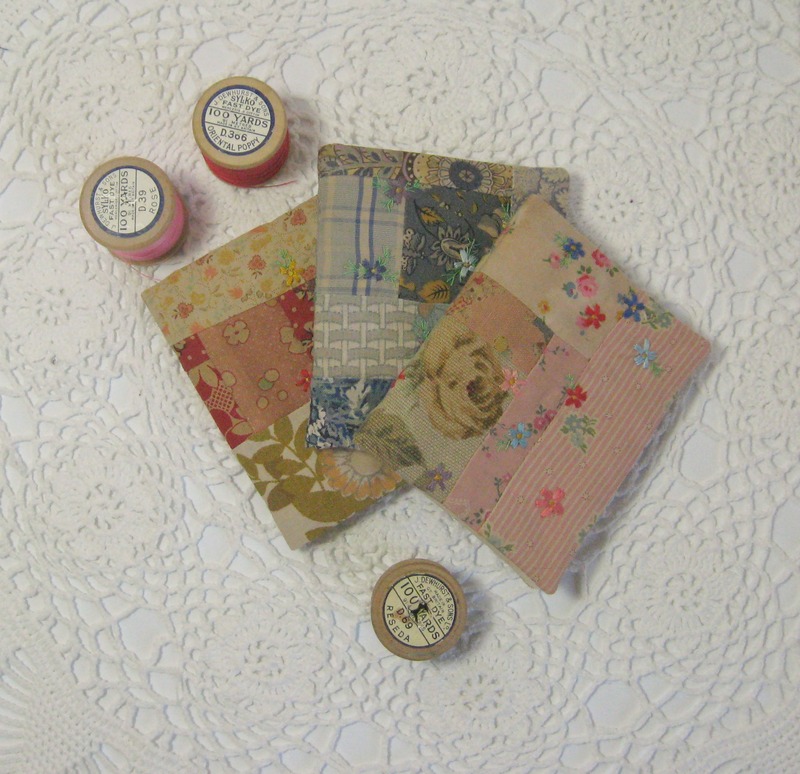 Time for a cup of tea and back to filling linen sachets with lavender and roses. 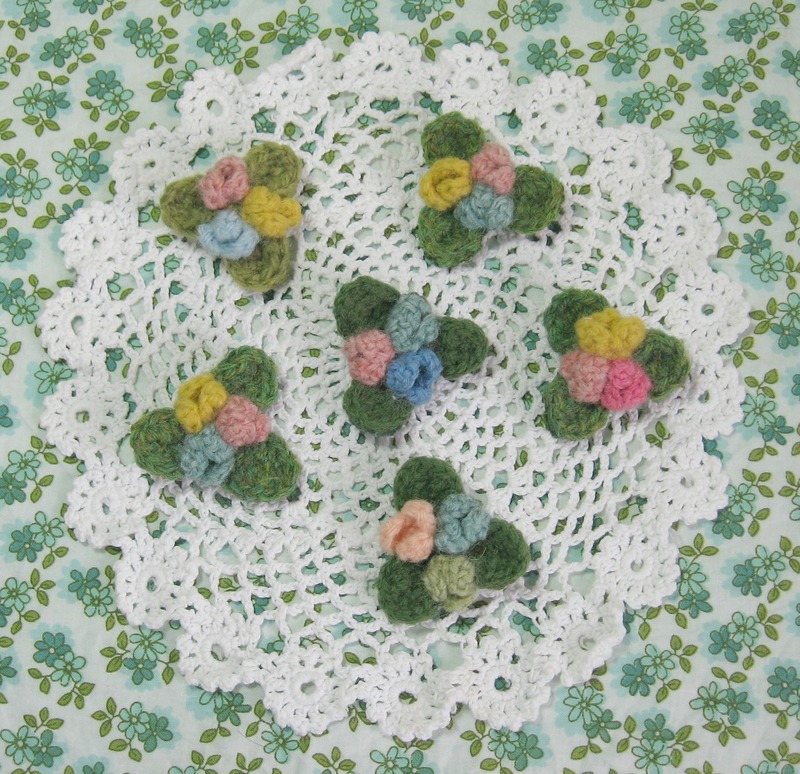 My friend Sasha will also be at the Spring Fair where she’ll have the most colourful stall full of beautiful handmade toys, cushions and general gorgeousness. She doesn’t sell on-line and all her pieces are unique and one of a kind so it’s well worth the trip to see what she’ll have there this time.